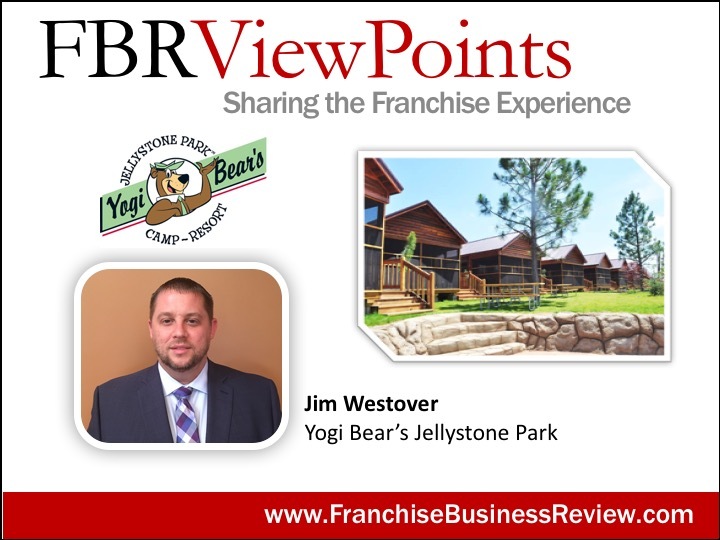 Jim Westover, the Vice President of Operations for Yogi Bear’s Jellystone Park Camp Resorts, offers some insight into how the brand has grown since its inception approximately 50 years ago. 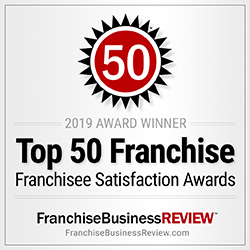 Click the arrow below to listen to Jim Westover’s podcast with Mike Kupfer of FranchiseBusinessReview.com. If you prefer, you can read the transcript below. It’s safe to say that the name Yogi Bear is pretty widely recognizable. Many people, though, may not realize that just beyond the cartoon character. There is a well established campground franchise brand there. Would you mind giving us a little background on how that company started and how it’s grown over the years? Jim: Absolutely. Definitely a unique start. We were thought of back in 1969 by Douglas Haag, and he came up with the idea via his kids. He was seeing a lot of campers, and where they were going on the highway, and what they were doing. One day, he’d seen the cartoon with Yogi Bear, and he’d seen the “pic-a-nic basket,” phrase, and that resonated in his mind. From there, he went and struck a deal with Screen Gems for the rights. He went to New York City and presented everything to them, and they gave him the character rights to Yogi Bear campground. From there, we opened up the first campground in 1969 in Sturgeon Bay, Wisconsin. The company itself has grown tremendously over the years. It’s changed ownership a few times, but now since 1994, Park River Corporation has owned it, which is our parent company. We go under the business name Leisure Systems, but they own us, and they own Coney Island Park, which has been around since the late 1800s. What they’ve done is establish a great family camping brand that has now grown to over 80 units, particularly in the last couple of years, tremendous growth. Starting with familiarity with the movie that came out in 2010, that spurred more folks to look at us. 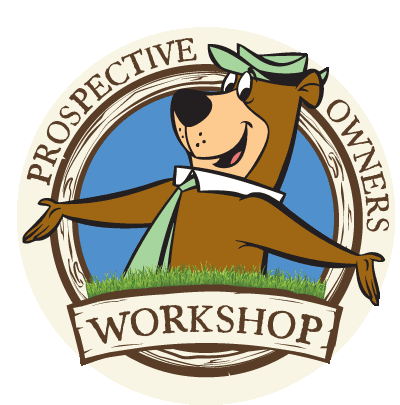 Of course, we pop up in a lot of searches when you type Yogi Bear, and that’s facilitated the growth. From there, it’s just been family camp, and we’ve capitalized on that, and we provide premium services for our campers and guests. That’s certainly an extra benefit of the digital age that we’re in is having the name recognition, not only in real life so to speak, but in the search engines as well. I’m sure that’s a great benefit for you guys, coming up in those searches, too. I know that the Jellystone Park brand talks a lot about being very family oriented, and I wonder if you could just provide a little more detail on what that means to you, and what you think makes it a differentiator for the brand. Jim: What we say is, “You camp with friends.” That’s our slogan, but we’ve morphed into “Camp your way,” because there are several different ways to do it. Some folks like the glamping style, some folks like to still use their tents, and of course, some folks still like to pull up their campers. Why we typically do that is we’ve specialized with our activities on entertainment, and of course Yogi comes into play there, too. He’s out at the campground a couple of times during the day. He does camp fires, he does check-ins. It’s a very safe and entertaining environment for families. On the franchise, then, when we convert different campgrounds, we change the clientele. We have, typically, our average consumers, four plus in their party, because it is larger families, and they’re looking to have fun and relax, and we’re there to provide that avenue for them. You mentioned glamping, tents, and campers as being a few options. What are people doing most often out those options these days? Jim: Most often, our most popular products are the cabins. We’re typically sold out during the week, and during the weekends, obviously, and the holiday seasons. They like to pack them in there, get as many people as you can. They still want the comfort of homeliness, they want WiFi, and we have all those to offer. They want to go out and experience nature, but at the end of the day, they want to come back and still have some of the same things that they have access to at their own home. That makes sense. What other differentiators would you say that the Jellystone Park brand has in terms of making it a unique franchise opportunity for your owners? Jim: One of the biggest advantages that we have is, when you invest in our brand, unlike quick service restaurants, you can do so much with it. There’s so much a la carte that you can do and carry out your vision, and we have the flexibility to do that, so you’re always able to grow you investment. Whatever your base starts out with, you can continue to add to it, whether it’s water slides, whether it’s more cabins, whether it’s a larger pool. There are so many more revenue streams that you can add versus a typical quick service restaurant. A quick service restaurant, you basically can do one or two things which is add a drive through or increase your table services. With us, you can put in more campsites, whether you want to put the tent sites in or if you want to upgrade or improve and add more cabins. There’s just so many different ways that you can do that. You can also expand your merchandise. We provide our own merchandise from Yogi Bear’s products, which we have here. We actually have our own warehouse at the corporate office that houses a lot of the plush items that the kids love to purchase. So, there are a lot of different options when you get involved with our brand. 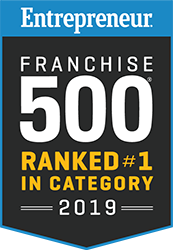 Folks continue to improve and are always looking to grow, and that is different from typical franchising, if you will. Out of curiosity, are the water slides and any kind of water park type features, is that all internal components of the franchise, or are those partner provided? Jim: We do have partners that we work with, but it very much has become a part of our business model. When I think of our business model, it’s the cabins, it’s the kids, and it’s these play grounds that we have. They have options, too, and of course Yogi. The Yogi and the merchandise all comes with it as well, so it’s a different concept, and there’s a lot of different partners we have that we work very closely with to ensure there’s quality products in place, and we work with them to carry out the vision of the franchisee. Your campgrounds themselves have a significant footprint in and around the community they serve, based on what they need to be in terms of size. What are your franchisees doing to actually get involved and integrated with their local communities that they’re serving? Jim: Corporately, we have Camp Sunshine, which is working with kids. There are kids programs for those to spend with kids, but locally we do leave it up to them. They get involved a lot with the kids organizations that fit right along with our footprints. We do a lot of things with bringing different day camps in to kind of have a run at the park, a lot of the local schools doing donations to them, so it’s always a big one for us. A lot of them helped out as well when a lot of the hurricanes came through and created disasters. A lot of them became FEMA shelters as well to help them provide places for folks to stay, and we’re just looking to help in anyway we can in the community. It’s been a lot of different things, a lot of touching stories over the years, and it’s been tremendous. I’m sure the FEMA shelters were much appreciated by everyone in need in those communities. Jim: Absolutely. Down our Houston and in our Texas markets, a lot of them stepped up and said, “Hey, we want to be involved. How can we help?” They were able to do that. Let’s talk a little bit about the growth of the brand. 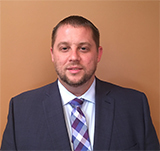 I know many of your new franchise owners are actually conversions of existing campgrounds, where the owners might be looking for the name recognition or better processes. For somebody who is interested in investing in the brand from scratch, who’s not already in a campground, what are you looking for, both in terms of the individual that would be running it, as well as the campground itself? Jim: As far as the individual that’s running it, there are literally two types of investors. There are the folks that are going to be hands-on, and there’s going to be the folks that are more of a real estate investment trust or a larger corporation. We are mainly made up of smaller investors. They independently run the campgrounds. We’re looking for folks who are going to be family friendly, that have that service gene, that are able to carry out not only the plan because there is an expectation with the Jellystone brand. They have to have the financial means, but at the same time, we want them to all have the same attributes that work well with our brand, and obviously there’s strong ties of family and kids. A lot of them have grown up with Yogi Bear campgrounds, and they’ll come to us and they’ll say, “Hey, I camped with you 20 years ago at the one in Wisconsin,” and that’s what spurs some of it along. Some of it is, obviously, folks that reach out to us that are familiar with the character. On the investment end, we present options of numbers that, like I said, when you compare to a quick service restaurant, are much larger, and that’s why we’re starting to see new folks get involved – all the way from people that are involved with casino groups that are looking to diversify their portfolio, from hotels that are looking to diversify their portfolios, just from them understanding what type of clientele we bring to the table. It goes two ways, but typically, most of our system is made up of independent operators, which is great because they do have a passion for the people, and camping, and they are looking to make sure that their guests are well taken care of, and they want to outstand the brand as well, which is great to be involved with. You will actually provide some assistance with locating the right property for them as well, if they’re not already involved with something or have a spot in mind. Is that correct? Jim: Absolutely. Ron Vitkun, who’s in charge of our sales department, he has a lot of contacts out there, and folks are always reaching out to him to say, “I have a campground that’s for sale. It would be great for a Yogi.” We’re looking for campgrounds that have over a hundred sites available. We want to have the ability to put at least five or more cabins on them, and then have the ability to expand because that’s where it comes in. You can build your campground up in phases, so with a very much smaller investment, you can take those proceeds and keep building these campgrounds. That’s why our footprint keeps getting larger, as you alluded to earlier, because the franchisees continue to put the money back into it. They want to see the experience with their guests, and we have a lot of software and programs that work with the demographics. We’re able to depict what areas are going to be well suited for us, which is typically within an hour or two from a major city, and making sure they have the population to support it. A lot of times, we’re good at creating a destination ourself, which is unique, when you can have that experience and be that spot no matter where you’re at in the United States. We do have the ability to find and seek out, so you don’t necessarily have to have camping experience or own the campground prior. We’re able to seek out ones for you that fit our footprint. In the scenario where you have a new franchise, not a conversion, what goes on with the training and the grand opening process? What are you providing them ahead of time, before the opening, and then what do you provide once they are open and operating? Jim: We have what we call Ironic Bootcamp, which is our main training session, which is hosted every January. We get all the new operators and all the new managers, and we have a whole week session where we’re teaching them, learning them, educating them. We can get to certified pool operator, we can do a ton of different things on the education piece upfront, and then of course we have a spring meeting, which we offer more classes in March, because for most of the United States, the camping kick off is Memorial Day weekend, is when we get revved up besides down the south. From there, obviously, we send our operations team out. Kelly Jones is involved with that. She’ll go out and work hands-on with them for a week, and of course we’re going to keep following up and sending folks out there as needed, depending on how they’re grasping the concept. We want to make sure that they understand our operations, they understand how to, we call it work the bear, so to speak, because you’ve got to have that character going out every so often and interacting with folks, and that takes a while, but we do have a whole system that can help. A lot of folks want the transition easier just because there’s a background in retail or something. You’re constantly working with people, and it’s just a matter of working our system. We have our camp spots POS system that helps with the reservations. We have a lot of different features that guide them through here at the corporate office where we have our support system for everybody. We continuously go on up to visit, then we do checks as far as the park and score it. We do assessments each year to make sure they’re upholding the standards, so it’s never done, and the education piece is never done because we’ve just got to keep leading the industry. 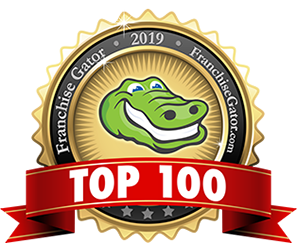 Sounds like you have a pretty comprehensive training program there, and just as a little validation, Yogi Bear’s Jellystone Park was named to one of our top 200 franchises of 2018 this year, so congratulations on that. It just supports what you’re saying about the support that you’re giving your franchisees as they’re starting to open. Jim: To go off of that, I mentioned Kelly Jones and some of our other staff. They are involved with ARVC, which is the main organization for camping, and they’re all licensed and certified from there as well. We also give back to the camping community too. A lot of our folks teach classes, so a lot of different education slots that we can help folks with. Lastly, for a new franchise owner who’s opened, gotten through the ramp up phase, and has a customer base built up a little bit, what’s their day to day experience looking like? I know you said you had two different types of franchisees. Do you see that most of them are still heavily involved in operations a couple of years in, three years in, or are they taking some steps back from the business to focus on other aspects? They start working on the projects in big picture ideas because they have developed the staff, and they do have the people in place, and at that time, the numbers go with it. We had tremendous growth. We have double digit growth in sales the last two years. We haven’t had a negative year or even a flat year since 2008, so our franchisees have benefited from that. As we keep drawing more eyes to the brand, they’re able to hire appropriately in order to remove themselves further from the day to day, and focus more on the big picture projects that are going to net them gains, and bring a great experience to the consumer.